But what made me feel immediately better, was pulling out this shirt from the back of my storage closet and putting it on to wear today. Mom made one of these for everyone in my family. 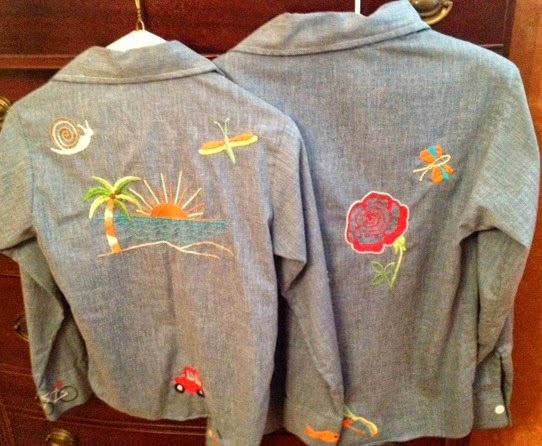 The one I'm wearing today was hers. The one she made for me hangs right beside her shirt in my closet. So, I got it out too just to look out how cute it was. 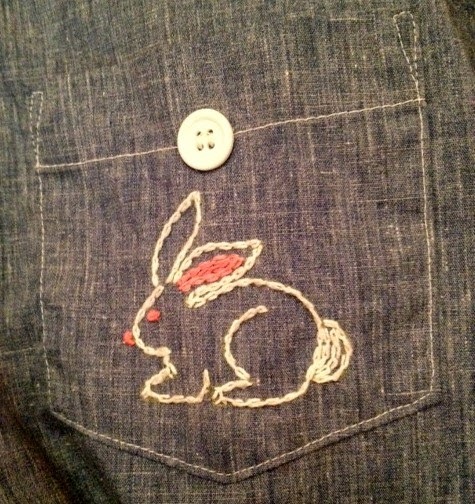 I remember, my favorite part of my shirt was the bunny on the front pocket. Mom loved bunnies, and so do I. To this day, anytime I see a bunny (real, or otherwise), it makes me think of Mom. 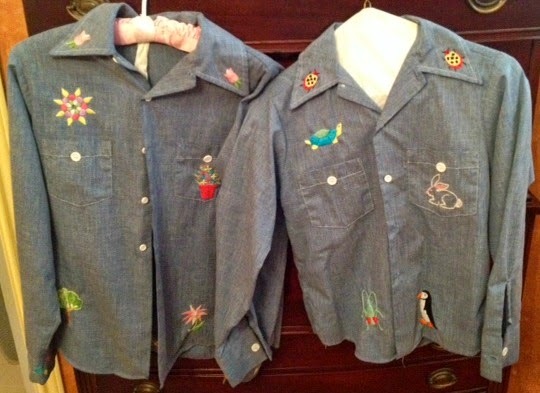 Mom also made this jean jacket I wear on occasion. 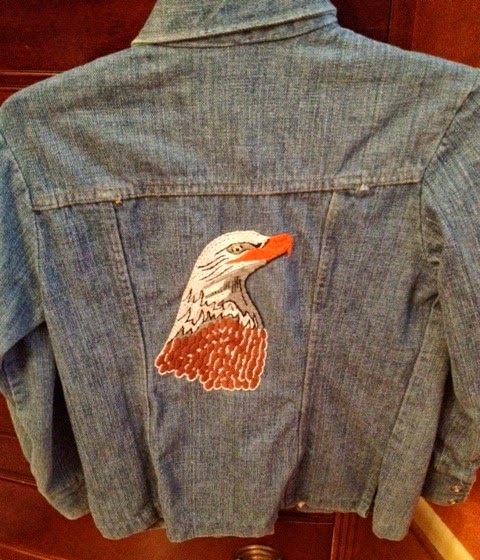 It's so funny to me with this lone American Bald Eagle on the back... Mom was very patriotic! I think she made this for my brother when he was a kid, but I'm not sure. Well, the first bit of good news to report is- Those "missing Hawaiian beads" I spoke of in my last post showed up! Someone suggested I pray to St. Anthony, the Saint of Lost Things, so I did. And within about 30 minutes, I discovered a previously undiscovered zipper pocket I had put the beads in. I swear, I had checked that back at least 4 or 5 times. I don't know how I missed it, but that little prayer to St. Anthony did wonders! Yay! 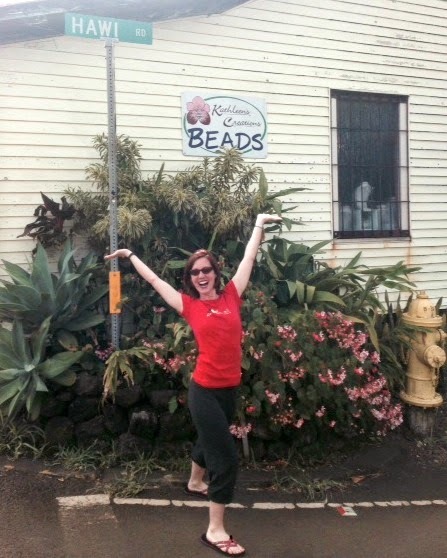 for bead shops while in Hawaii on vacation! I wanted to share a few photos from our awesome trip to Hawaii. We had never been to "The Big Island", aka "Hawaii Island". 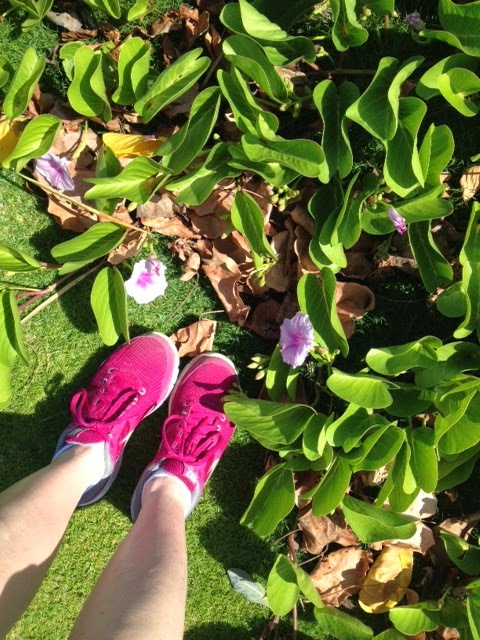 I love Maui and LOVE, love, LOVE Kauai. I really had no idea what to expect from The Big Island. For some reason, I didn't think it'd be as cool as it was. But Fermin and I both loved it! 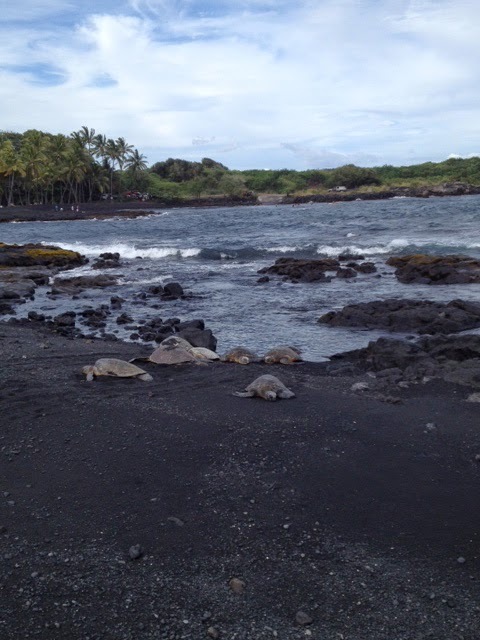 There was lots of volcanic rock, and not much else, in certain areas. love this little plant, for growing in an unexpected spot! There were lush gardens and rain forests in other areas. And sand colored sand beaches too. We also got to see the largest mountain in the world, Mauna Kea- Larger than Everest! (Hard to believe, and at first we didn't. But we Googled it, and learned that measurements start below sea level, if that's where the mountain begins--- and this one starts way below sea level!) 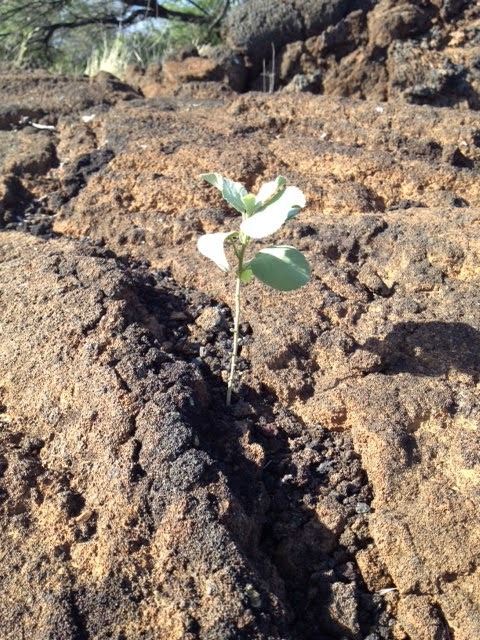 We also visited the National Park and got to see the crater of Mauna Loa, one of Earth's most active volcanoes. We had lots of great food, altho some of it was gross and I didn't eat certain disappointing meals. Spam is a popular menu item there, as is sausage. Ew. With fresh fish so abundant, why oh why would one settle for Spam?! Our favorite meal, from our favorite restarant, Sushi Rock. Thank you Hawaii, for your sunny days, fresh fish, happy people, beautiful sunsets, and vast gorgeous views! Aloha. I am beside myself with grief. I just returned from Hawaii yesterday. (Which was great, and I'll eventually discuss!) I thought I was so super smart: I didn't sleep at all on the flight back, stayed awake a full 24 hours, and woke up this morning thinking, "Great! I feel refreshed! This is the best time/jet lag- adjustment I've ever had." HOWEVER, I have a fuzzy recollection of getting out the vintage beads and a pair of really cool handmade earrings I bought while on vacation. I think I got them out of my carry on luggage yesterday once I got home. But they're are no where to be found now. And I've torn the house apart, looking for them. some of the beads i bought in hawaii. currently m.i.a. Perhaps my fuzzy recollection was just a dream. Maybe rather than that memory where I thought I took them out of my carry on at home, I really did that in the airport. Or on the plane. Or back the hotel. Who knows where those beads and earrings are now. I really can't remember when I last saw them. I thought I was being so careful with them. 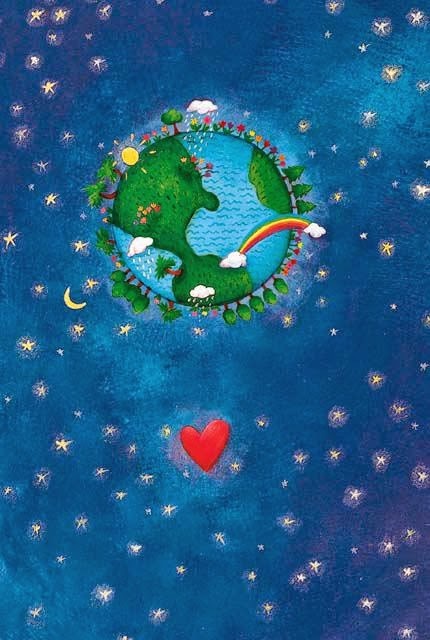 I love when I recognize that the Universe supports me, and encourages me. I've felt a little disenchanted with performing out much, after years of gigging. Other than a few gigs here and there where I play primarily coversongs for mainly non-listeners, I've stopped performing. And oddly, I've also stopped writing. For probably the past year or so, I've only written bits and pieces of songs. I never seem to sit with these little bits long enough to make them complete songs. I haven't been too inspired-- Partly because I no longer plan to play them out in front of an audience. The other day, someone had called me about a songwriter performance gig. As usual, my initial response was, "No thanks, I'm not doing those right now." But the man so nicely encouraged me, without being pushy. It ended up being something that fell through on the venue's part before I had a chance to either say yes or no as my final answer. But in his final email to me, he said, "I sure hope you continue writing music." And I realized, songwriting itself is something that I've never gotten tired of, or felt beaten down by. It's always felt good when I do it. In fact, it's one of my favorite things to do. I feel like it's when I'm totally and completely honest in my expression. 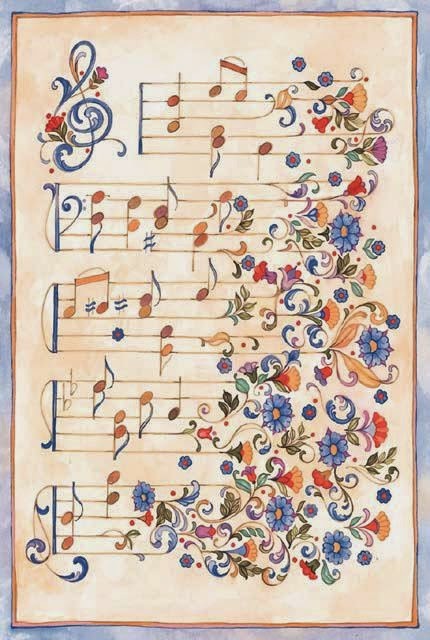 I had it in my head that songwriting and performing those songs go hand in hand. A few nights ago, coincidentally (or not), I had gotten out some books about my Logic software (what I use for home studio recording), and realized I barely remember my way around in my studio at all. It seemed like a fun, and exciting endeavor to crack open the books and dive back into learning that software. And then today, I just got a voicemail from the salesperson I bought all that software from, just checking in to see if I needed anything. It was a sales call, I know. But to me, it felt like a sweet and gentle little whisper from the Universe. Reminding me that I am a songwriter. Even if I'm the only one who hears my songs for now. 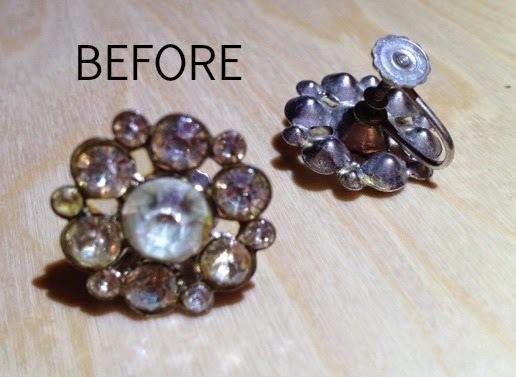 A few months ago, I bought these pretty vintage rhinestone screw back earrings at an estate sale here in Dallas. They were definitely pretty enough, but the screw backs didn't hold well and were very uncomfortable. Ouch! 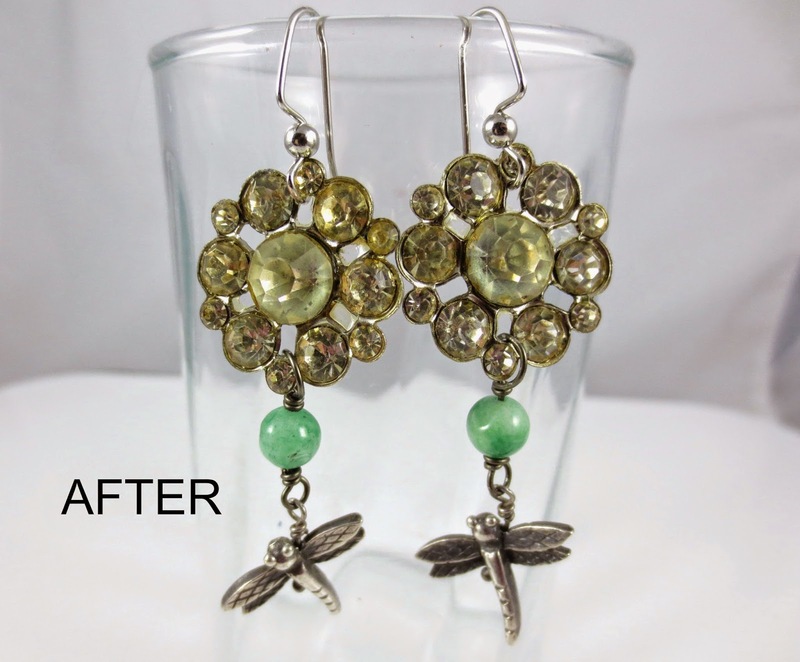 So I decided to convert them to pierced earrings, and added a pretty blue-green bead and a silver dragonfly to each one. 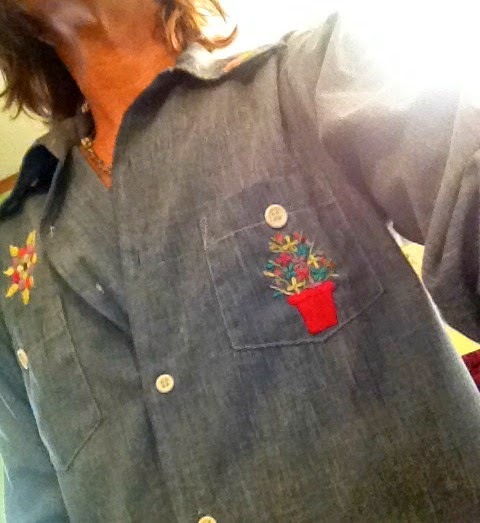 Now, they're very unique, one-of-a-kind, and much more eye catching. And they no longer hurt the ears! I love how now, the rhinestones look like flowers. I didn't see it that way before. But the bead and the dragonfly appears to be the stem of the flower from a slight distance. I just love them! 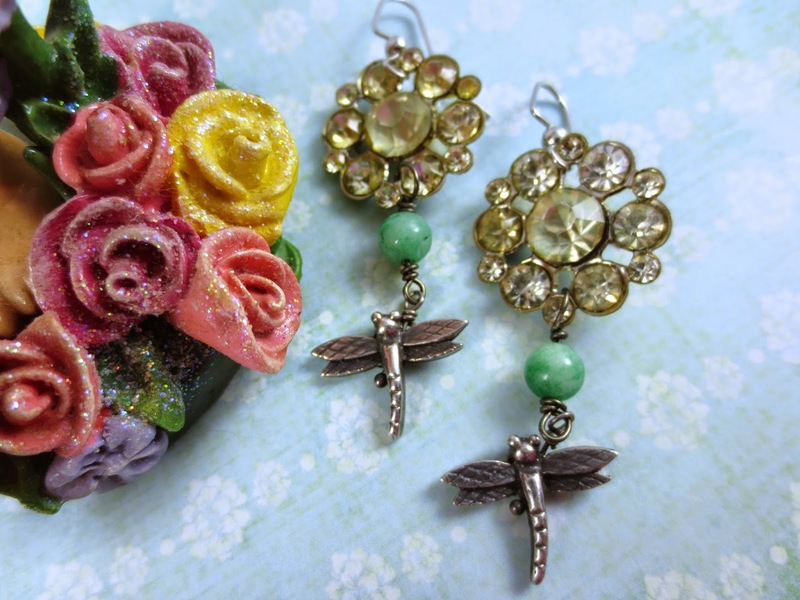 Repurposed Vintage Assemblage Earrings- Available in my Resparkable Vintage Etsy Shop. They are available in my Etsy shop here. You can see all my repurposed jewelry by clicking this link here. I also do custom orders too, so if you have vintage jewelry, I'd love to create something "new" with it for you! If you read my post earlier in the week, you already know about the highlight of our fabulous trip to NYC this past weekend... 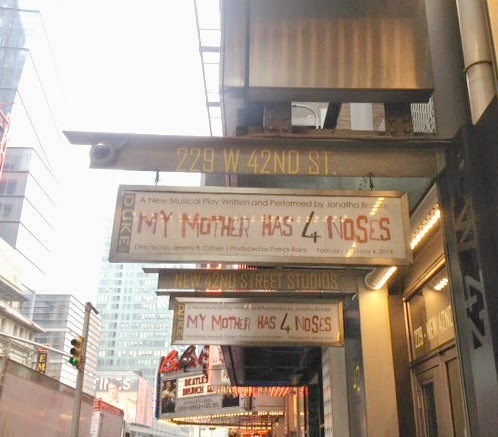 But besides the Jonatha Brooke play, "My Mother Has 4 Noses", NYC was so, so good to us! One of our gorgeous views from our hotel room at Trump Soho. We stayed in Soho, which I really liked. Sure, it's still NYC, still Manhattan, but it seems much more quite and relaxed than some other areas. We stayed at the TrumpSoho, which was really nice and located conveniently right across the street from Starbucks, and a very nearby Subway station. We ate at some great restaraunts-- all within walking distance of our hotel. Fermin finishing off his risotto at Il Buco. YUM. Me and Fermin at the delicious KOI in the Trump hotel. Waiting for "Beautiful" to begin! The day after seeing "My Mother Has 4 Noses", we went to see the Carole King musical, "Beautiful." Since we had seen "4 Noses" the day before and loved it so much, I thought we might be just luke warm over "Beautiful", but I was wrong. It was SO great! And since Carole is from Brooklyn, it was a great thing to see in NYC. The audience seemed to be very full of 60 and 70 year old Jewish women. (Is Carole Jewish? I have no idea...) I think Fermin and I were the youngest people in the audience, and of course we always love feeling like we're the youngest! :) It was such a fun musical, and everyone knew every song in it! I so highly recommend it! Although it rained a few cats, but mostly dogs, while we were there, it didn't stop us from having loads of fun! There's nothing like the energy of the big apple! Me, with my Starbucks, on Broadway. There was a Hello Kitty store located right next door to Jonatha's play. Of course, I got something! 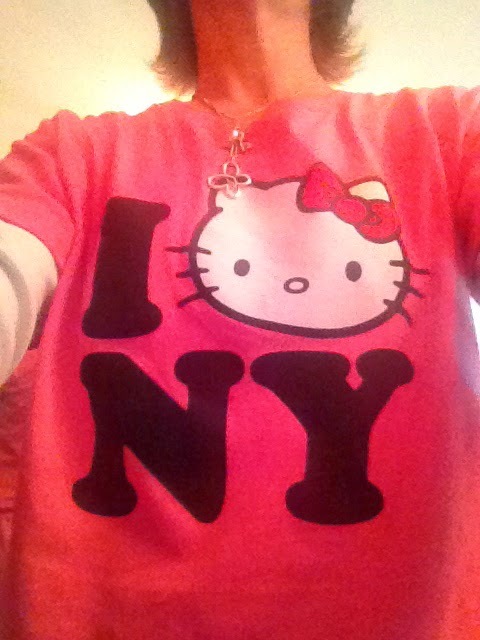 It's a t-shirt that is similar to the I Heart NY infamous shirt, but instead of a heart, it's Kitty's face! Kitty equals Love. How awesome! I'll start with the reason we went to NYC this past weekend, as well as the highlight of the trip. "my mother has 4 noses"
My favorite singer/songwriter, Jonatha Brooke, currently has a show just off Broadway called "My Mother Has Four Noses", which contains 10 songs, and lots of stories, weaved together- All about her mother, who she cared for the last couple of years of her life, as she was in the late stages of Alzheimer's. There is a CD that Jonatha released in February, also titled "My Mother Has Four Noses". All the songs in her play are on the CD. Like all of her CDs, I love this one. However, this one feels even more personal than her others, and I relate to it-- So much so that one song in particular brings me to tears every single time I hear it. It's called "Time". As I was planning this trip to see Jonatha's show in NYC, I was considering all the weekends and dates that it played. (It opened in mid- February, and runs thru the first weekend in May) It quickly got narrowed down to a few weekends that Fermin and I were free... That got further narrowed down to when my neighbors were available to care for my dogs. 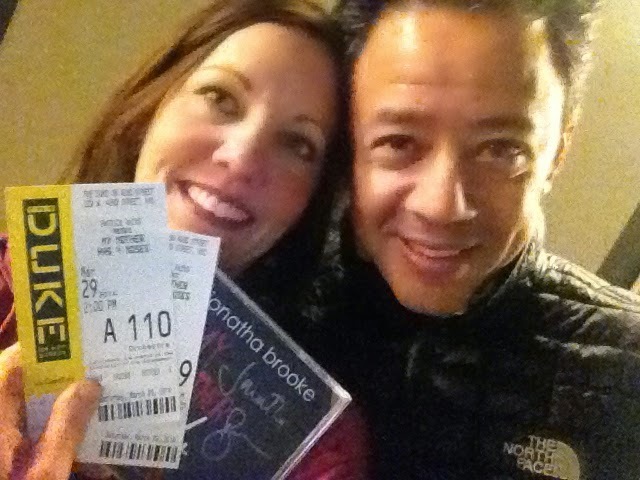 We decided to go the this past weekend, and in particular to the Saturday matinee. A few weeks ago, I was walking my pooches, just feeling very grateful that we had booked the trip. I was also thinking about how surprising it is that after nearly 9 years of losing my mom, a song can bring me to such feelings of loss and grief...still. Then it dawned on me that yes, it was just about 9 years ago she died. In fact, holy guacamole, she died 9 years ago March 29... The same date we had our tickets to go see "My Mother Has 4 Noses". I didn't even make the connection until after it was booked?!?! I know that is no coincidence! Me and Fermin, just before the start of the "My Mother Has 4 Noses" show! my feet, viewed from my front row seat! The show, of course, was great. I knew it would be. I knew I'd cry and I did. I knew I'd be inspired and I was. After the show was over, I got to meet Jonatha. The way they had us exit the theater, we all walked right by her, so clearly, she was wanting to meet her audience, which I think is so nice! Still, had Fermin not initiated the conversation, I wouldn't have had the nerve to speak to her, other than just a little "thank you"- I was starstruck. But Fermin broke the ice, and I did get to thank her, plus say just a bit more. After walking away, Fermin said, "We should have gotten your picture with her! Wanna go back?" And so, thanks to Fermin, we did. And I got my picture with my favorite, favorite songwriter! The show runs for just a few more weekends. If you can get yourself to NYC, go see it! It's sweet, funny, heartbreaking, poignant... It's everything! I'll post more pics of the rest of our time in NYC later in the week. For now, I'll just relish in this portion of the trip!